I have some news: as of today, I am leaving the staff here at the Citadel. CloudANDTidus will take over news and hosting duties full-time, and there will be one Admin short on the Forums from now on as well. This site means a lot to me, but it is time for me to move on, mainly for some of the same reasons I posted when I shut down blueshinra.com back in February. CloudANDTidus will keep you all posted on the server/hosting switchover, as well as other changes he has planned. In the meantime, if you'd like to keep in touch, my contact info, social media and gaming accounts, etc. are listed here. In my role as site host, I was doing some server-side maintenance on the Citadel today and noticed that several years' worth of spam had accumulated on the theory submission page for The Yellow Orb. That page has now been restored to the time when the last legitimate comments were probably made. From what I can tell, all of the comments made after that were spam, and I did not feel like sifting through hundreds of later posts to find any non-spammy ones. Also, to combat future spam (and therefore, future space-hogging backups made by the commenting system) I have decided to close the page to new comments altogether. Comments may open again sometime in the future, though I can't say when. My maintenance work is ongoing at this time, so if you find anything else that seems off, please let me know immediately. Thank you! Just a small update today. 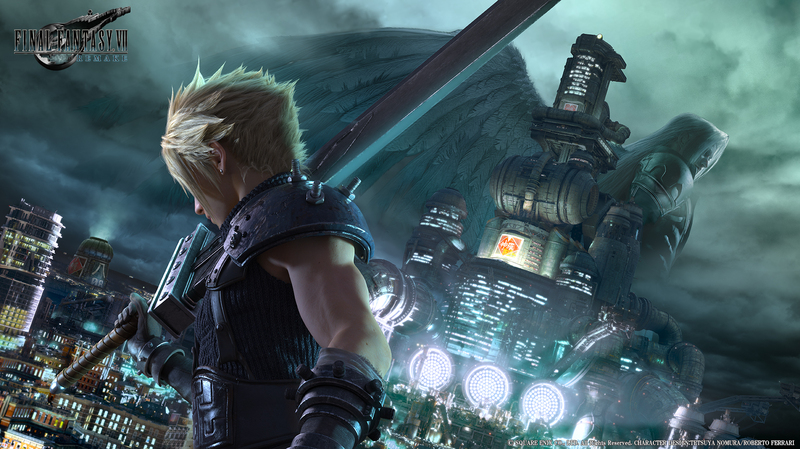 I've uploaded a 1924x1080 version of the Final Fantasy VII Remake key visual that Square Enix unveiled at the Final Fantasy 30th Anniversary event in January. It makes a good wallpaper. 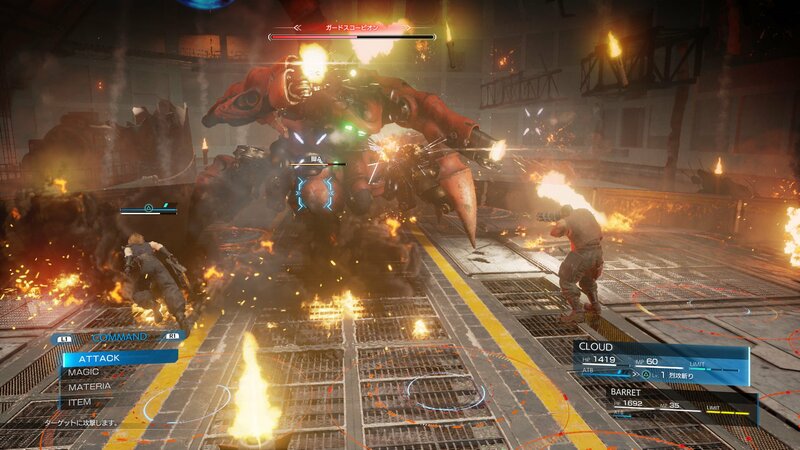 Last month a couple of pictures of Final Fantasy VII Remake were released during Magic Monaco 2017 that showed off the game's combat system. 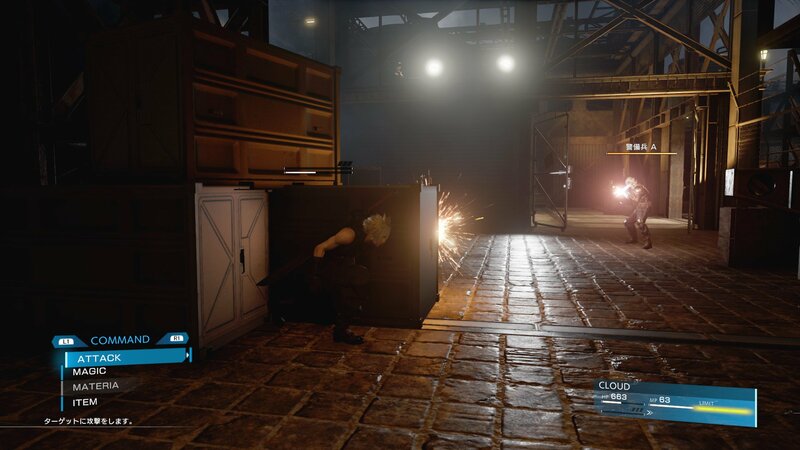 In the latest issue of Weekly Famitsu director Tetsuya Nomura clarified that the combat would be action based. “Battles are not command-based, they’re action-based. Regarding cover actions, there are places where they can be done on the map, but they are not required. Because it’s seamless, I showed that there can be actions in response to various scenes." The switch to a real-time combat system is one of the more controversial changes in the remake. It has yet to be seen how closely it will resemble Nomura's Kingdom Hearts franchise, or the recently released Final Fantasy XV, both of which feature similar styles of fighting. Nomura also noted that the Guard Scorpion battle would feature destructible portions of the map.